What else is happening in his body that I cannot see? Is this my deep fear? What else is happening in his body for which I cannot prepare? Is this what is weighing me down? Is this the reason parts of my heart are closed off to everyone, even You? 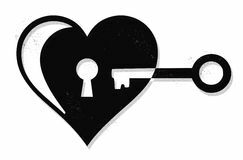 Is this why parts of my heart are locked? I did not even realize I held the keys…did I lock my heart? Why all this weight and dryness? We have our son…why not rejoice? Why can’t I be fully, sincerely and consistently thankful? Is that what I am feeling? Do I feel You betrayed me…our son…our family? why should all of this surprise me? Why is my heart holding out? My heart is no longer totally shattered…progress…thank You! Why won’t I accept Your offer of strength? Why won’t I pick them up? Why won’t I own what You have prepared for me?